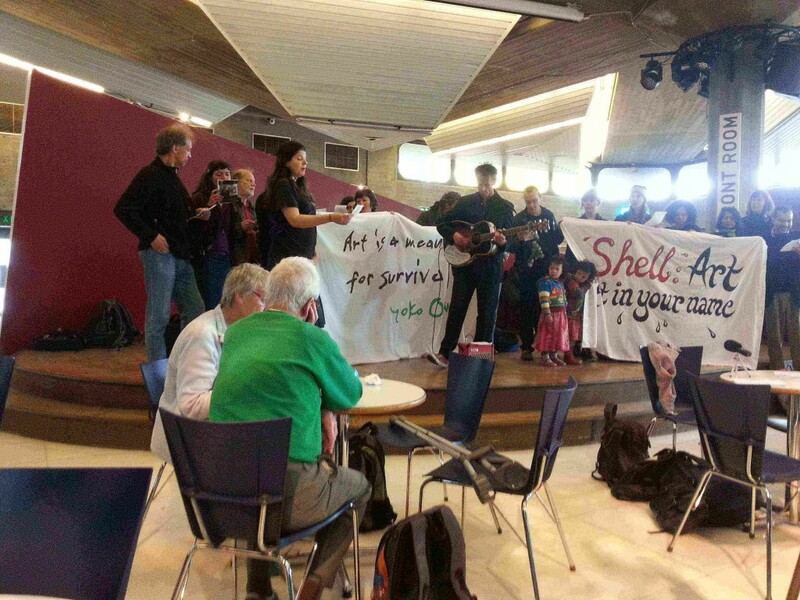 This was the third performance led by Shell Out Sounds, a group of musicians and concerned concertgoers who are challenging Shell’s sponsorship of the arts through music and song. The performance was a direct appeal to Yoko Ono, the curator of next week’s Meltdown festival at the Southbank, to speak out on the issue. Ono is an outspoken opponent of the ‘fracking’ method of gas extraction, a method that is widely used by Shell in South Africa and elsewhere. The song detailed ‘fracking’ and Shell’s other controversial activities in its lyrics: ‘It goes like this, you drill and dig; You frack the rock and you crash your rig; The tar sands are a poison, Hallelujah…’ The choir’s flyer also highlighted the irony of performing Strauss’s meditation on wartime destruction with financial support from a company who fund Nigerian Security forces and other armed groups. Shell has sponsored the Shell Classic Concert series since 2007 and opposition to oil industry sponsorship of the arts and sciences has been steadily increasing. Shell’s directors recently faced a barrage of questions about their human rights record at their Annual General Meeting and a few weeks ago, the University of Oxford faced heavy criticism for launching a new funding partnership with Shell. The university’s student union voted to formally oppose the deal while a number of respected alumni wrote to The Guardian condemning the partnership. 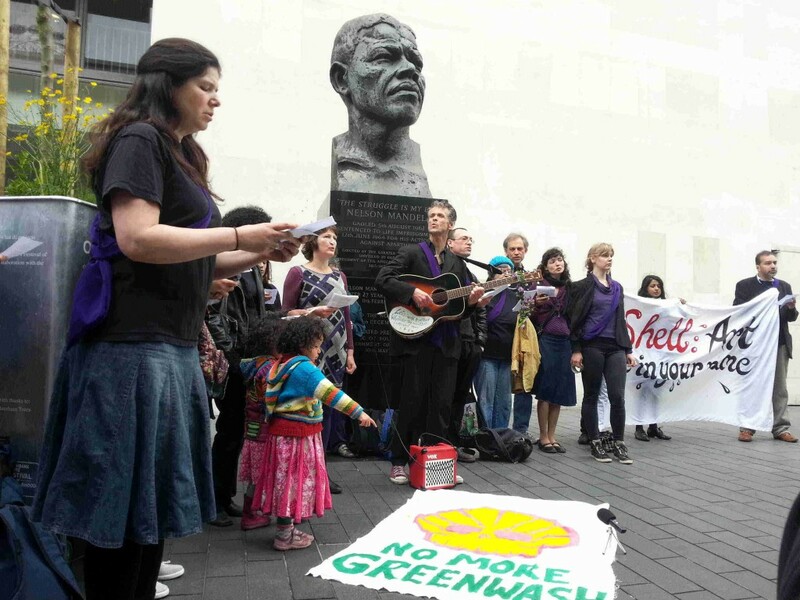 The singers also performed next to a bust of Nelson Mandela, to highlight the irony of Shell’s fracking operations in South Africa. Yoko Ono’s Meltdown festival runs from 14th-23rd June at the Southbank Centre. Shell is not a direct sponsor of the festival but it contributed substantially to the initial redevelopment of the Southbank Centre complex.